November 2006 – One would expect Codex to formulate policies and guidelines for foods and nutritional matters so that consumers can improve their health and be protected from any possible adverse health effects. The truth, however, is actually shocking. 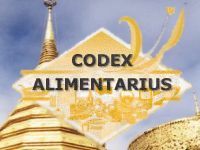 The Codex Alimentarius Commission is a body established by the World Health Organization (WHO) and the Food and Agriculture Organization of the United Nations (FAO) to develop global standards, codes of practice, guidelines and other recommendations for food products, including food supplements. The Commission currently presides over a total of 26 active subsidiary committees, one of whom, the Codex Committee on Nutrition and Foods for Special Dietary Uses (CCNFSDU), is responsible for developing standards, guidelines or related texts for foods such as food supplements, infant formula, cereal-based foods for infants and young children, and gluten-free foods. 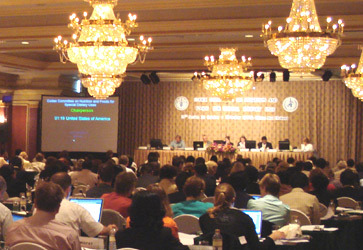 The 28th Session of CCNFSDU was held from 30th October to 3rd November, 2006, in Chiang Mai, Thailand, and was attended by 244 delegates from 45 countries, one member organization and 24 international organizations. Codex meeting in Chiang Mai, Thailand, 30th October to 3rd November, 2006. For a first time attendee, the meticulous debates regarding labelling requirements, the types of nutrients allowed and their maximum and minimum amounts could initially give the impression that the committee exists to ensure that consumers’ interests are being protected; especially so given that this is actually stated as being one of the Commission’s primary purposes. The truth begins to be unmasked, however, when one learns that since the creation of the World Trade Organization (WTO), on 1st January, 1995, Codex standards have been used as the benchmark in international trade disputes, and are expected to be used increasingly in this regard. As its name suggests, the WTO is concerned with trade, not health, and as such it is the demands of industry, not those of consumers, that are given the highest priority at Codex. At Codex Sessions, therefore, one begins to discern the line drawn between exporting and importing nations; developed and developing nations; between nations that want to perpetuate control of trade and nations that want genuinely free trade; between industrial interests and consumers’ interests; between the needs of geographical regions and their individual countries; and between genuine health promotion and disease maintenance. Rather shocking and unbelievable as all this may sound, let’s analyze some of the issues. One major issue, if not the most important, is the subject of food supplements. The first half of this decade saw some keen debates from opposing sides that culminated in 2005 in the adoption by Codex of global Guidelines for Vitamin and Mineral Food Supplements: a text that will ultimately set restrictive upper limits on the maximum permitted doses of nutrients, and strictly enforced curbs on nutrient-related health claims and labeling information. 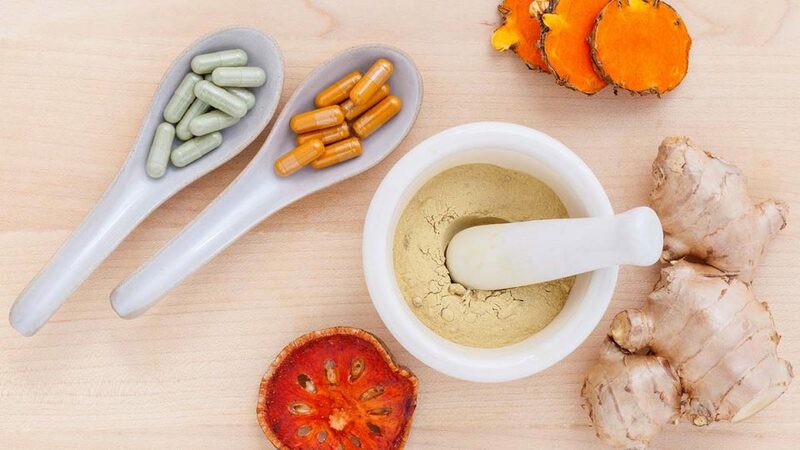 The guideline also seemingly tries to convey the message to consumers that nothing good can come from taking food supplements; that they’re a waste of money; and that daily helpings of fruits and vegetables provide enough nutrients for all of our needs. Current science, particularly over the last ten years, has provided compelling arguments, and even proof, regarding the positive significance of individual nutrients or combinations of nutrients. Today’s emerging science will ultimately put any of the old arguments, such as “supplements are a waste of money”; “taking vitamin C will produce expensive urine”; “too much vitamin C will produce kidney stones” or “vitamin E increases the rate of heart attacks”, into the Jurassic Park of nutritional science. Indeed, it is already virtually impossible for any government officials or any unbiased scientists to have entirely missed the numerous scientific reports on nutrients that are published on the internet. Who benefits from the propagation of diseases? Which industry is most threatened by the food supplement industry’s promotion of health? Which industry is a major sponsor to governments and politicians? Who finances/sponsors medical researchers, provides grants to medical schools and universities? Answer: the pharmaceutical industry and its ‘business with disease’. At first sight, however, the case of infant formula seems to take a different stance. Since infants and young children do not provide a good market place for the drugs industry, as compared to adults, and because the multinational corporations dominate in producing infant formulas, the outcomes of Codex deliberations affecting them seem to be less restrictive. Nutrients from A to Z are allowed, including synthetic ones. Even the European Community (EC), USA, Germany and some European countries were less willing to argue against health claims for infant formula, as they had done with full vigour against food supplements in previous Sessions. These are the major exporting countries of pharmaceutical drugs, infant formulas, cereals and pre-packaged food. These are also the countries where money speaks, and where industry lobbying is the name of the game. When the issue of fluoride came up for deliberation, South Africa led the dissenting voice among developing countries and International Non-Governmental Organizations (INGOs) and argued that current science has shown fluoride to be a poison, detrimental to health, and that it should be reclassified onto the list of food contaminants. As the dissenting voices against the use of fluoride became overwhelming, it was generally agreed that fluoride should not be included in infant formula. However, on the third day of deliberation, when discussing a Revision of the Advisory List of Nutrient Compounds for Use in Foods for Special Dietary Uses Intended for the Use by Infants and Young Children, the EC successfully argued that fluoride could be used for special medical purposes. As a result, fluoride was therefore retained in the list of substances allowed under this category. The USA and Australia were amongst the countries that supported the EC’s proposition. As such, it can be seen that this was effectively a back-door strategy to allow for the possible inclusion of fluoride in infant formula for special medical purposes. One should be aware however that fluoride is an industrial waste, and that the disposal of such hazardous waste has become a big headache to industries. What better and more profitable way to dispose of it, therefore, can there be than through adding it to drinking water and infant formula? A military parallel to such means of waste disposal is the use of depleted uranium and ammunition from expired nuclear weapons, and its subsequent use in Afghanistan, Yugoslavia, and Iraq. On the third day of deliberation, Thailand came up with a proposition to limit the amount of sugar in cereal food for children, since obesity among children has become rampant. The EC representation argued that the proposition from Thailand was not necessary, and the USA immediately supported the EC as though working in tandem with them. South Africa and a few INGOs, meanwhile, supported Thailand’s proposition on the limitation of sugar in cereal foods. The strong tone of the International Lactation Consultant Association (ILCA), accusing the EC of shame for not only not leading the voice against sugar in food, but also indirectly supporting it, drew loud applause from many delegates. Shameful indeed to the EC and the USA. Common sense alone, besides science, should have given a resounding NO to additional sugar content in food. Do top officials of governments have no social conscience at all? The way the Session was being chaired, at times autocratic, and giving little prominence to the dissenting voices of lesser countries and independent INGOs, does not say much in terms of fairness and consensual agreement regarding the decisions that were taken. The German secretariat, in connivance with the German Chair, even went so far as to manipulate the time allocation for the deliberation of certain agenda items. As such, agenda items such as the Recommendations on the Scientific Basis of Health Claims, Nutrient Reference Values, and the Application of Risk Analysis were given very little time and no substantial debate. As these subjects have a scientific basis in nature much more prominence should be given to them, as any decision made will go a long way to determine the health of consumers. But who cares? In the name of science and consumer protection, the purse holds the strings. Industrial interests comes first. 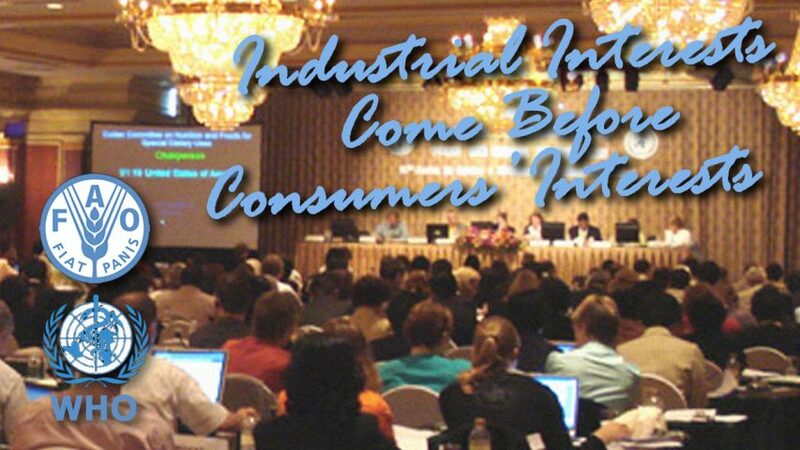 The interests of consumers come last. Let those who care speak out now! !